"… full of ideas and they are expressed very well … most of the tracks are compact affairs but even when they go for something longer it doesn’t sprawl, instead it is genuinely progressive … they merge the upbeat with the moody, and combine a whole range of ideas very smoothly … at times it’s ethereal and others more direct, the passages in between are smooth and the transitions natural … there’s a lot to like here." "… ALTHEA not only confirm the excellent, unforgettable 'Memories Have No Name' out of 2017, but go further, producing an authentic album, without frills, played and sung damn well, with great sensitivity … especially valuable and that, although apparently simple to listen to … hits from the first listen … really captures … focused on musical writing and texts … a beautiful work, really beautiful …"
"Musically we could think of a tricolor version of Ray Alder's Fates Warning, with that mixture of immense class, compositional genius, superfine arrangements and a lot ... so much sensitivity … we could talk for hours on every single track, but it would be like describing a painting ... you could try to visualize it in your mind, but when you see it with your own eyes, the emotion will expose your every fantastic construct … here you just have to listen ... listen ... listen ..."
"… a refined and elegant sound … absolutely progressive but with many facets ranging from Rock to Pop with Metal nuances … managing to keep the listener always glued and never tired and offering different stylistic solutions … marvelous melodies that are never ordinary or even discounted … perfectly balanced with a very high technical level … the great amount of emotions that ALTHEA are able to make feel with this new work is really amazing … do not miss this album!" "The Italians are showing that there are also promising prog bands in the land of Catenaccio and Ramazotti ... I'm really excited about their great melodies and fantastic harmonies ... the year starts harmoniously and with a lot of emotional music for me ... Thanks ALTHEA ... masterpiece ..."
"… a brilliant record, magically progressive with huge amounts of musical talent on display … there looks to be a lot of Prog coming this year but ALTHEA could be very well one of the best." "… has all the elements to defend itself in the Italian and international scene … the Milanese team plays its cards well … an evolution of this kind in such a short period of time is certainly a good signal for a group that is not afraid to experiment and to always bring its boundaries one step further." "… instead of simply showing off their technical skills to the world, they let the emotions come from the voice of Bortot and the beautiful melodies of songs like 'One More Time', 'Evelyn', 'The Art Of Trees' and 'Away From Me', in order to take the listener by the hand and accompanying him on this beautiful journey back in a life that could be that of each of us.…"
"With their now third album ... the Italians approach the big names of the scene such as Cynic and Threshold with ease and make in a direct comparison even better ... emotional Prog Metal with a high degree of successful variety ... surprised from the first run and builds in the further course to a high-quality record that one would not have thought so for ALTHEA ... respect!" "… Fans of the first Dream Theater classics are allowed to experience an evolved version of the sound inspired by it ... and that, mind you, at a very, very high level ... whoever has not met ALTHEA so far should not hesitate any longer and check out quickly one of the most promising Prog-acts in the here and now ... 'The Art Of Trees' is one of the first real highlights of the still young calendar year 2019!" 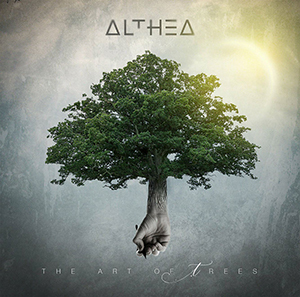 "… shows the best ALTHEA ever … beautiful melodies, diverse layers of musical events, juggling technical enhancements, matching orchestrations and a stunning piano contribute to this … ‚The Art Of Trees‘ has many great ideas and great plays … and being a Progressive Art Rock album, too, it has everything you need: a high artistic note and well-made progressions." "… some are musically reminiscent of Dream Theater, but brilliant with a very strong, emotionally charged chorus ... extremely spherical and some even reminds me of the Canadians Rush ... but ALTHEA know where their main strengths are ... touching moments, with melodies that are totally for themselves … heart, what more do you want ... has a lot of solid ProgRock, but can also exist in harder spheres very well ... very strong album!" "… although clearly playing Progressive Metal, are inserted in a more hermetic slope … do not stop having enough melodic hooks imbued in the jazz riffs - 'Deformed To Frame' is a good example of this. However, it goes beyond 'complexity by complexity' and there is the sense of having real themes with great melodic potential … with many points to make us come back again." "Heavy atmospheres blend with enveloping chants, simple episodes in the structure are sophisticated in the arrangement, electronic sequences and performances alternate seamlessly giving the best of themselves in the title-track, almost ten minutes of never banal ideas exhibited in a masterly manner." "… the men from Milan fascinate with their intelligently arranged, soulful third work also from the singing so that the listener sympathetically thinks of the velvety moments of James LaBrie ... with dreamlike refrains ... yummy saxophone is also here." 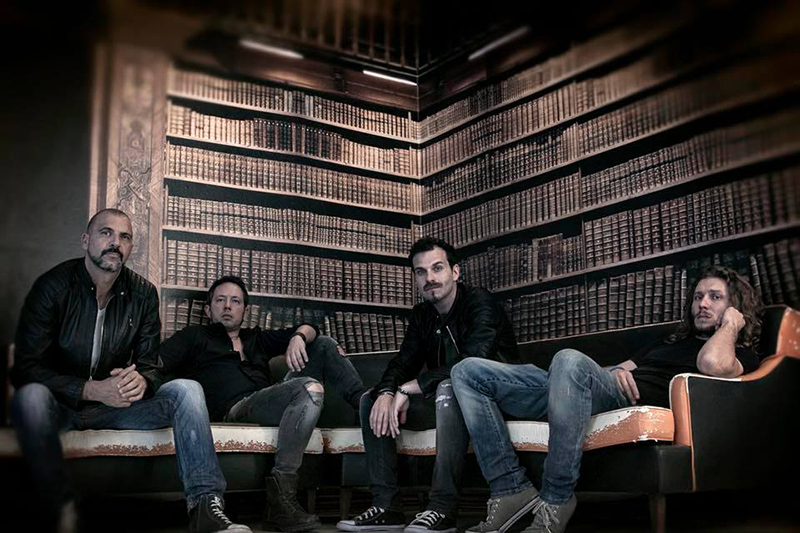 "… a particularly attractive Progressive Rock album, which you have to give a few listens. Because after each turn you will discover details that you had not noticed before. 'The Art Of Trees' is a melancholy voyage of discovery in the forest of life, which will surprise and deeply touch you after every listen. Thanks to the particularly intensive way in which the songs touch your heart, in a very special place and in a very simple but equally intensive way." "… viele gefühlvolle, fast schon balladeske Passagen und weitläufige Keyboard-Teppiche … im Vordergrund steht der etwas an James LaBrie von Dream Theater und Ray Alder von Fates Warning erinnernde Gesang … aber ALTHEA klingen auch zeitgemäß, was Freunde von Bands wie Porcupine Tree oder auch Tool ansprechen sollte … es ist also alles breitgefächert und für jeden etwas dabei … die Produktion ist glasklar und druckvoll, aber auch modern gehalten …"
"The Italians are not a purely cognitive Progressive machinery ... the songs need some time to unfold in the auditory canal of the listener ... but this is well maintained and apart from the well-known norm a good head-cinema for advanced Proggies is offered." "What Italian ALTHEA do on their new album 'The Art Of Trees' is magical ... playful guitars in ultramodern chorus as well as outstanding, soulful and incredible rhythm work by bassist and drummer ... so and not otherwise should sound catchy, not to overdone Progressive Metal ... a disc to fall in love with." "… ambient … filled with interesting melodies … to really get things moving … a little bit like Dream Theater … interesting progressions … depth …"
"… technically perfect … an incredible level of perfection … an album with strong melodies … near Art Rock … with the right dose of emotion … Music is emotion, as I always say …"
"… characterized by a strong progressive sound with drums and guitar that meet disproportionately at the same time until everything merges into a smooth melodic whole that effortlessly captures the imagination and has some elements of the Beatles … ALTHEA proves a sense of intensity and emotion building." "... a really good and interesting album ... my highest acclaim ... an interesting mix of Prog-Metal with Neo-Prog ... I am particularly impressed by the really pleasant voice of singer Alessio Accardo, who is a real enrichment to me in this genre ... yet to mention is the more than fat production at the highest level, so that I can recommend the CD unrestricted ..."
"… characterized by sensitivity, melodic alignment, atmospheric sound … they don't hide their basic influences: Porcupine Tree … and the delightful, stylish melodies of Marillion, seem to be ideally suited … or the shadow of the most Prog Rock dispositions of Dream Theater … the title song is a rich Prog Metal adventurous episode, full of turnovers … significant chapters on this journey in time are the most nostalgic parts, such as the beautiful single 'Today' …"
"... with successful guitar riffs and synth creations enough variety is provided, so that no boredom sets in … the mostly very soft, but incredibly expressive voice of Alessio Accardo is often the supporting element, and can convey different emotional worlds … so if you like music to relax and unwind then you should give ALTHEA a chance!" "… ALTHEA not only confirm the excellent debut (the unforgettable 'Memories Have No Name') but go further … an authentic album … without frills … played and sung damn well … with great sensitivity … especially valuable … hits from the first listen … really captures … a beautiful work …"
"… technically perfect … ALTHEA dudes handle their instruments flawlessly to reach an incredible level of perfection … with strong melodies … near Art Rock … the bounce of hard and delicate makes it … ALTHEA really knows to balance those moments and fill them with the right dose of emotion." "The music is good and highlight to me is the song 'Not Me', whose opening half could stand proudly on any Porcupine Tree album … nice band …"
When guitarist Dario Bortot teamed up with bassist Fabrizio Zilio in 1998 to form ALTHEA, the two initiators clearly envisioned a very special PROGRESSIVE ROCK/METAL project, which should have its own unique sound. And deviating from the standards it should be. Immediately the two Milanese brought Marco Zambardi to the keyboard. Various demo tapes were produced, accompanied by the first live shows, which subsequently extended to many stages in Northern Italy. 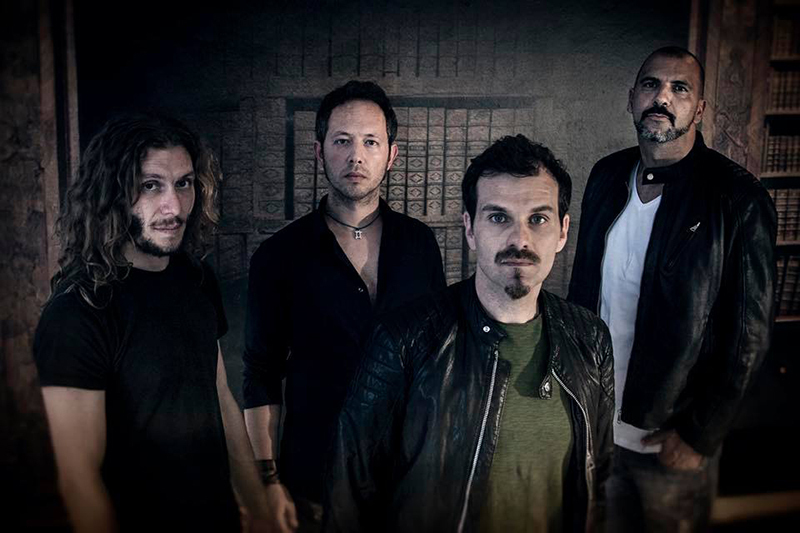 Drummer Sergio Sampietro and vocalist Alessio Accardo entered, completing and stabilizing the cast of the group. Concert activities were intensified. February 2014 finally saw the release of the first EP "Eleven", which produced enthusiastic reactions. In 2016, ALTHEA expanded its studio activities and worked on 16 new songs, which became the concept album "Memories Have No Name", released in 2017 by Sliptrick Records. Both the listeners and the music media confirmed the high quality of the exceptionally tasteful material and the increased maturity of the soulful band in the Art Rock area. 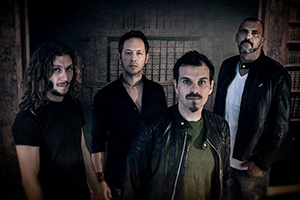 Along with the release of the album, Andrea Trapani joined as bass guitarist to replace Fabrizio Zilio, who, like keyboarder Marco Zambardi, left the line-up to pursue new paths. ALTHEA subsequently began on Italian and European stages to present the songs of "Memories Have No Name" to a wider audience. And the resonances on it were not only extensive, but also fully pleasing and confirming. ALTHEA played with well-known bands like Breath Of Nibiru, Kaledon, Vulture Industries, Overtures and many more. Without interrupting their heartfelt live activities, ALTHEA finally started recording the new and third album with the intriguing title "The Art Of Trees". Ten new tracks with amazing arrangements and an impressive sound vision are presented artfully. "The Art Of Trees" is characterized by a really unique-sounding, very personal tone.